Collections are the homes for articles on your Help Center. They organize your articles so people can browse your help content and find what they want. 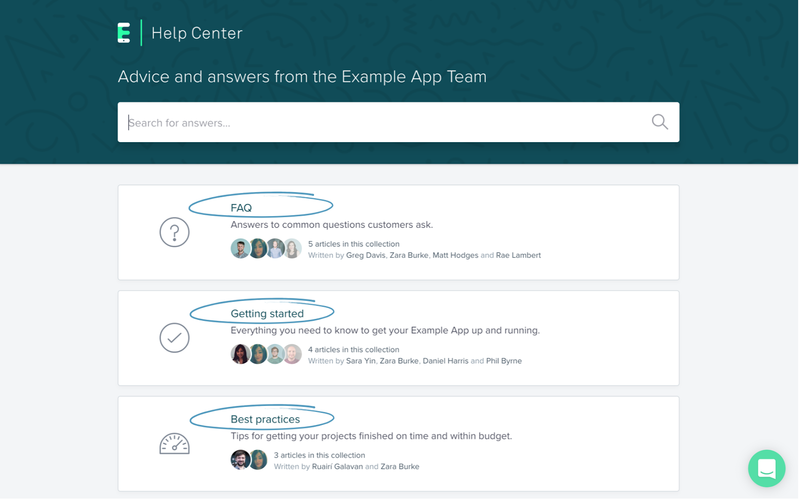 Below, we’ll show you how to create an intuitive Help Center, where customers can easily discover the content they need. Then, name your collection, select an icon from the drop-down menu and give it a short description. Collection descriptions provide important context for people who scan your Help Center. Pro tip: Collection descriptions appear in your site search and Google search results. To optimize your content for SEO, include words your customers are likely to search for. Finally, just click ‘Add articles’ to move articles into your collection. 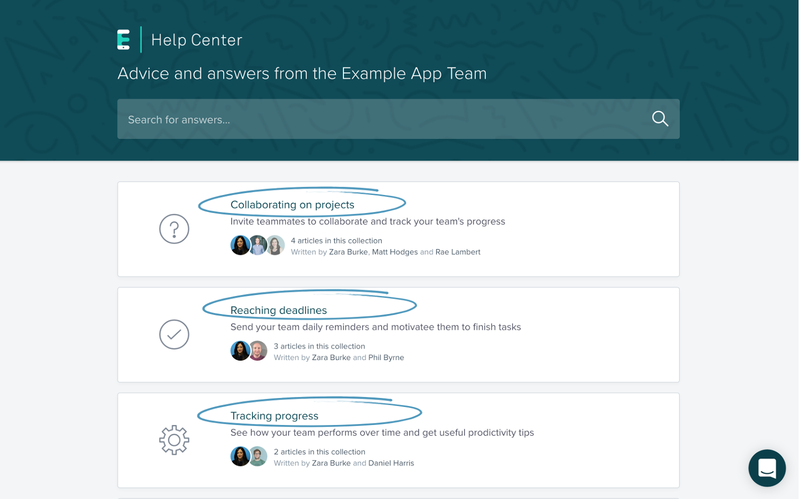 If your Help Center is mostly made up of best practice articles, try organizing your articles into collections of jobs customers can do. 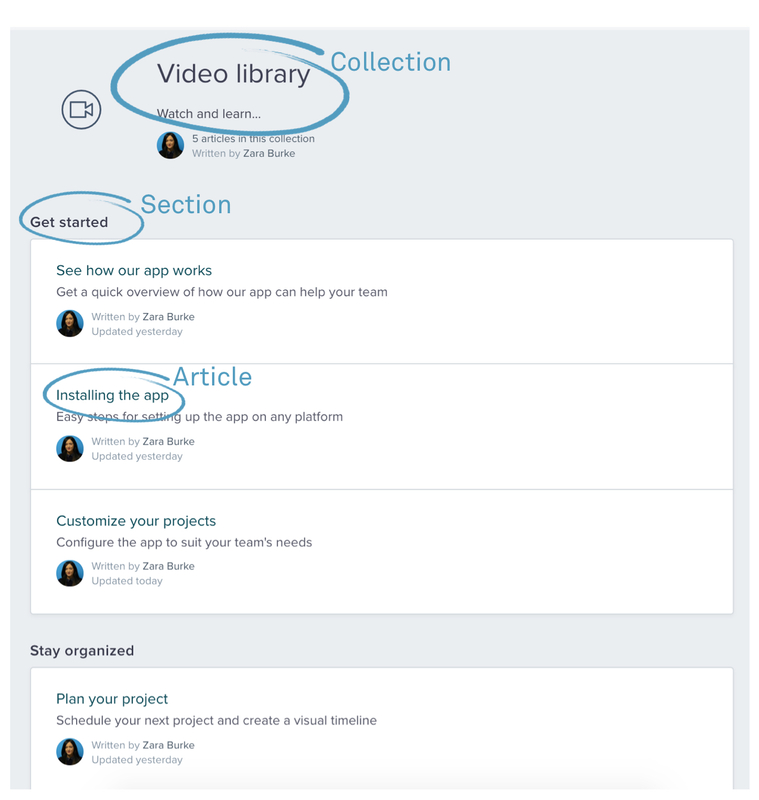 For example, if you have a product that helps customers create projects, you could have one collection called ‘Collaborating on projects’, another called ‘Reaching deadlines’ - and so on. 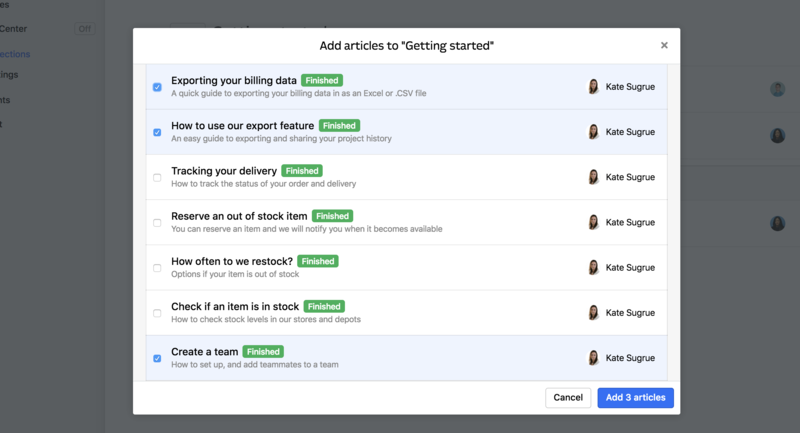 If you have lots of how-to articles you should organize your articles into collections of tasks customers need to complete. These should be organized in order of the sequence your customers need to complete them. For example, if your first collection is centred around ‘Installation’, the next could be based on ‘Configuration’ and so on. Or if your product has different user levels, it’s a good idea to create a collection for beginners, another for experienced users and one for advanced users, for example. To create a section, just click ‘Add section.’ Then name your section and drag relevant articles into it. 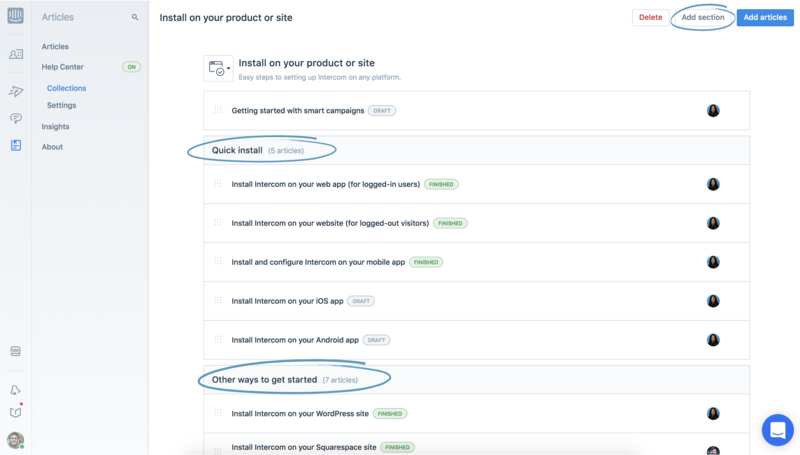 Next, optimize your article order to make it easier for customers to find the exact advice they need.